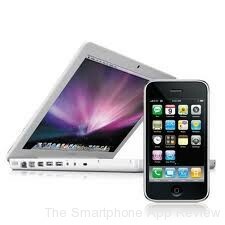 You are at:Home»iPhone»Can The iPhone Ever Replace A Laptop? The idea of being able to carry a laptop around in your pocket is a massively enticing one. Smartphones have already gone some way to making it a reality, offering a ridiculously large number of apps to fulfill nearly every tech-based demand that you might have. They can be used to word process, make music videos, manage finances… the list seems endless. But they are quite definitely not as capable as laptops. On my laptop, I can edit a photograph so that it looks exactly how I want it to look. On my iPhone, I can edit a photograph so that it’s brighter, a different hue and speckled with film grain. There’s still a long way to go. The question is, will the iPhone ever really be able to replace laptops? The first barrier to this happening is screen size. Whereas the iPad offers a potential alternative to the laptop screen, the iPhone screen is just too small for some things. It is far easier to complete complex tasks on a laptop, even if its interface is a little clunkier and less pretty to look at. A lot of apps that do try to compete with complicated computer software often end up being difficult to navigate thanks to the smaller screen of the iPhone. As a result, most apps end up compensating on complexity such that they can remain intuitive – just look at Propellerhead’s Figure. It allows quick, easy, fun music creation rather than trying to compete with the music production heavyweights that can be found on laptops and desktop computers. The iPhone’s screen is just too small to compete. That’s not to say that screen size will always be a limitation of the iPhone. Who’s to say what the future holds? I’m personally hoping for the installation of screens in workplaces, hotels, libraries, train seats and so on at some point in the future. The screens would connect to phones and other portable devices, to enable smartphone users to view and interact with all of their smartphone data on larger screens wherever they happened to be. The power of a laptop in your pocket. Imagine that. Another barrier to the iPhone becoming a laptop replacement is the limitations of the hardware. It’s not just things like internal memory, processor power and so on that would need to be improved in order to compete. One of the main gripes that I have with working on my iPhone is the lack of a physical keyboard – and that’s something that will remain for the foreseeable future. I can’t see it being very fun writing a novel on a tiny touch screen. Indeed, the list of things that might hinder the iPhone from replacing laptops is probably just as long as the list of things that the device can do. But that’s not to say that it won’t happen. Ten years ago it was inconceivable that in just five years time a smartphone would be released that would start a mobile revolution. People were still clicking away on their Nokia 7210s, completely unaware of what was just around the corner. The iPhone replacing the laptop might be difficult to imagine now, but give it a few years and the situation might well be completely different. Check out our developer interviews and our countdown of the best apps of the month! I definitely use my iPhone for MOST tasks now a days, but I will always need a laptop or PC. I still have to sync, and there are still a lot of websites who have not succumb to mobile or Safari versions. Though it may not be that far in the future that our phones will be complete mini computers. I came across a good deal on a Logitech laptop keyboard yesterday and have been asking myself this question ever since. I know the edition of a relatively bulky BT keyboard kinda takes away from the portability advantages. So far from what I can see the addition of a decent office app (be it pages, numbers etc or quick office), a drop box account and a VGA connector I could walk into most offices and be ready to go with my own machine. The big issue I am coming across is that the iphone (4s) is not set up for mouse interaction. But if the iphone is on the desk in front of me I can basically use the phone as a touch pad. I don’t know whether my question is actually more along the lines of “can the iphone act as a bare bones ultra portable desktop replacement”? If anybody has anything to add I would be interested to hear pros and cons. I had this exact debate with a friend the other day – although I love the portability of a tablet, I just can’t see myself ever getting rid of my laptop. That being said, I would still pick a 13 inch laptop over a 17 inch one.